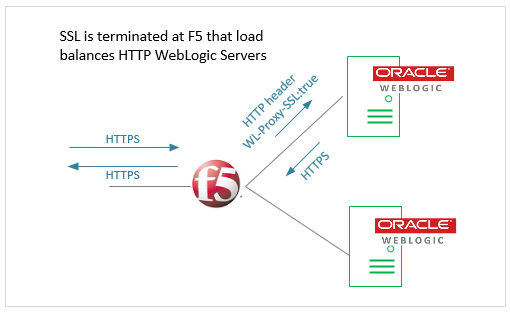 In this scenario, SSL is offloaded in F5 appliance that load balances HTTP WebLogic Servers behind it. You might have experienced a situation that F5 has responded ‘http’ response for all ‘https’ requests from client browsers and the applications were not rendered properly. In such case, here is a quick guide how to set this up. Navigate to Local Traffic > Profiles > Services > HTTP. Specify Name for the HTTP profile. In the Parent Profile menu, select http. In the Redirect Rewrite menu, select Matching. Do not forget to attach this HTTP profile to specific Virtual Server for above changes to take effect. 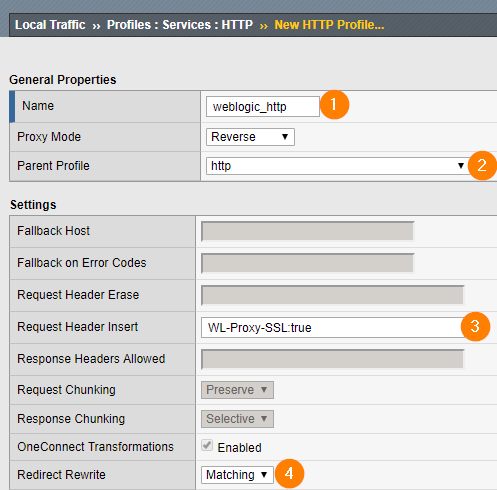 After you configure at both F5 and WebLogic Server, all responses for https requests would be ‘https’ and your application will render properly in the client browser.